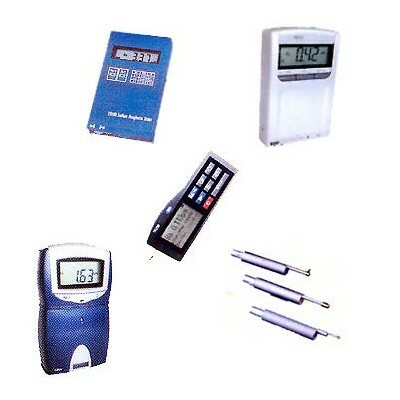 India Tools & Instruments Co. is a prime company engaged in developing the finest quality of measuring instruments. The company is based in India and doles out a variety of designs and types of instruments that are largely used for measuring purposes worldwide. In today's cut-throat competition, we have our name noted among the top-tier Roughness Tester Manufacturers, suppliers and exporters from Mumbai. These are built with high-quality raw materials and ensure high tolerance. As a promising player in the industry, we develop products in compliance with industry standards set at the time of establishment to affirm matchless quality. Moreover, we test their performance before sending them to our customers to ensure they won't get a chance to complain. Being a most zealous Roughness Testers manufacturer, supplier and exporter from India, we are also looking forward to establish and maintain a business relationship with the clients in the developing nations like US, Mexico, Indonesia, Ukraine, Brazil, UK, Myanmar, Japan, Nepal, Gabon, Bangladesh, Yemen, Nigeria, Grenada, Australia, Poland, New Zealand, Jordan, Israel, Kuwait, Oman, Syria, Lebanon, Iran, Iraq, Bahrain etc.